Amsterdam’s Hack in the Box security conference regularly offers us a fascinating insight into what can ensue when modern tech is pushed to the very limit, and today, seasoned security professional Hugo Teso has certainly done that. 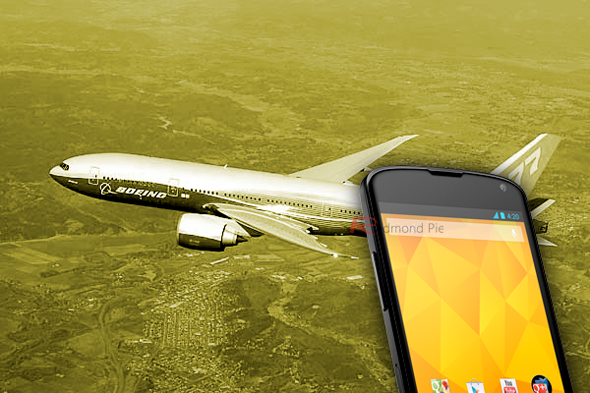 Drawing upon twelve years as an airline pilot before his transition to the bustling world of tech security, Teso demonstrated just how easy it could be to essentially take control of a plane remotely using little more than an Android smartphone. While infinitely cool, it’s also worrying how unsecure some airline software systems currently are, and although Teso only used a virtual Boeing jet to demonstrate his achievements (hijacking planes is, after all, illegal), it’s a pretty incredible bit of ingenuity. As a security expert and licensed pilot, he knows a thing or two more than your average Joe when it comes to this kind of thing (or feat), but nonetheless, the ability to take an Android and turn a fully-fledged passenger jet into a ‘toy’ is, for lack of a less giddy, excited phrase: one of the coolest things possible. You would think, what with airline security being pretty tight and all, that aviation systems would be equality as robust. As it happens, not all of them are, and two pivotal systems – Automated Dependent Surveillance-Broadcast (ADS-B) and Aircraft Communications Addressing and Reporting System (ACARS) – have absolutely no encryption whatsoever. To pull off this very ambitious mod, Teso sourced some flight code software from an online outlet, and also got hold of a radio transmitter. From there, and with a little help from an app called PlaneSploit, he was able to demonstrate virtually how a plane in autopilot mode could have its steering modified using an Android smartphone. HiTB concludes today, and although there have been plenty of other interesting mods showcased since proceedings kicked off yesterday morning, this one definitely appeals to the inner geek. Let me know of your thoughts by dropping a comment via the section below, and before you ask: no, PlaneSploit will not be releasing to Google Play Store any time soon, and will probably never will for obvious reasons!